Looking for a healthy way to relieve some stress after work? Try a PiYo class on south or main campus in celebration of Women’s Health Month. New to PiYo? PiYo combines the core-firming benefits of Pilates with the strength and flexibility advantages of yoga. All skill levels are welcome; modifications will be offered for all levels of ability. Join us for this zero-impact, 45-minute workout that will leave you feeling toned, lengthened, strong, and energized. Classes are drop-in, no registration required. Try one class or join us for all! 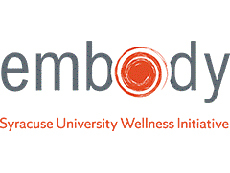 Get more information about PiYo and other women’s health activities for faculty and staff.